Bromus tectorum inflorescence.commons.wikipedia.org (Accessed 12/2014). 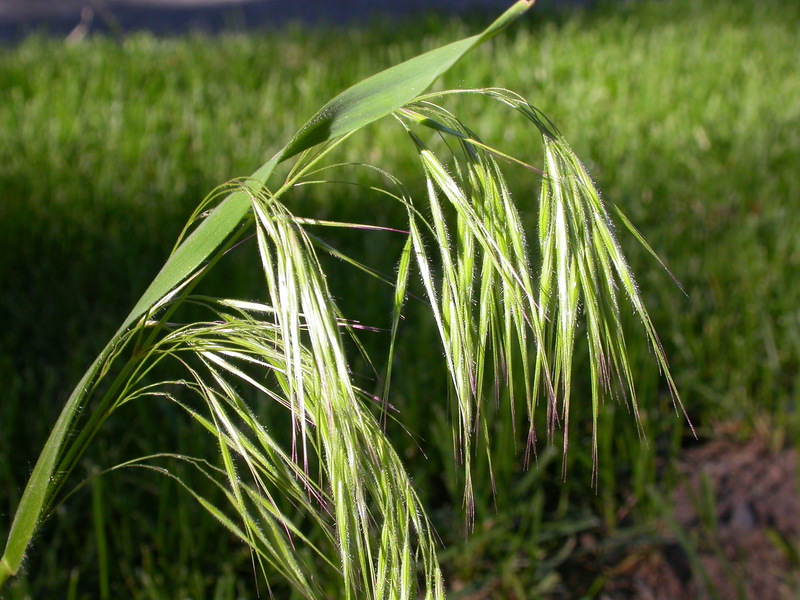 Bromus are annual and perennial C3 grasses. Leaf sheaths closed nearly to top. 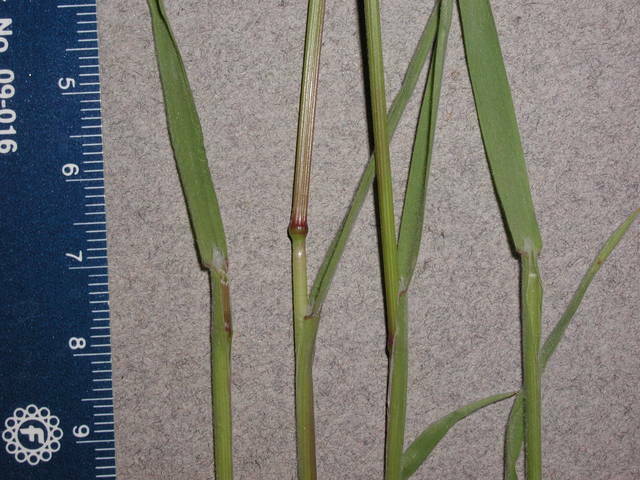 Bromus tectorum stems & leaves.© Les Mehrhoff, 2008-2010.dicoverlife.org (Accessed 11/2015). 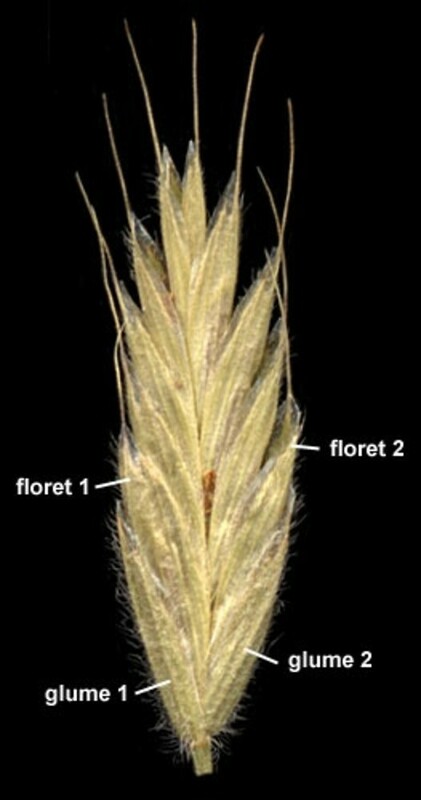 Bromus hordeaceus spikelet labeled. By Anna Gardner. Copyright © 2017. Ada Hayden Herbarium – Iowa State U. New England Wild Flower Society. gobotany.newenglandwild.org (Accessed 11/2017). Flower spikelets rather large, oval to oblong, with few to many florets; glumes slightly unequal, shorter than lemmas; lemmas firm, green (herbaceous) 2-toothed at tips, usually awned between teeth; inflorescence banched (panicles) lax to drooping.